Park City’s Old Town neighborhood is defined by its lasting roots and connection to the area’s rich mining history. Originally platted in the 19th century, Old Town homesites are quite small and many homes are built into the steep hillsides that hug both sides of the neighborhood. Old Town encompasses most of the area from Park City Mountain Resort to the Park City Municipal Golf Course and past the charmingly quaint City Park. Largely a result of ongoing efforts toward historical preservation, Old Town has retained its small, old west mining town feel. Recent years have witnessed its growth into a vibrant, highly walkable resort town center that features enticing shopping opportunities, renowned restaurants and a multitude of nightclubs. The spectacular buildings and storied past of Old Town’s legendary Historic District provide variation to area home styles and further reinforce the neighborhood’s authenticity. A particularly well-known area within Old Town is the “Gold Coast,” the coveted ski-in/ski-out homes that back up onto the Town Lift runs of Park City Mountain Resort. The cozy renovated miners’ cottages located near City Park, just off Park Avenue, are recognized as some of the best values in Old Town. There are a handful of apartments located in the upper levels of certain Main Street buildings, while Daly Avenue features a funky and eclectic mix of restored miners’ cottages, apartment buildings and renovated bungalows. The limited number of homesites bolsters prices and helps to ensure future value, while Old Town’s ideal location solidifies demand. There are few places in the world like the sparkling gem that is Old Town Park City. Situated adjacent to the picturesque white McPolin Barn, the Thaynes Canyon and Aspen Springs communities encompass the wooded hillsides and rolling meadows below Park City Mountain Resort and Iron Mountain. These neighborhoods also offer easy access to all three local ski resorts as well as the Park City Municipal Golf Course and the extensive community trail system which converts to a well-groomed nordic trail system in the winter. Some homes in Aspen Springs and Thaynes Canyon are zoned equestrian. 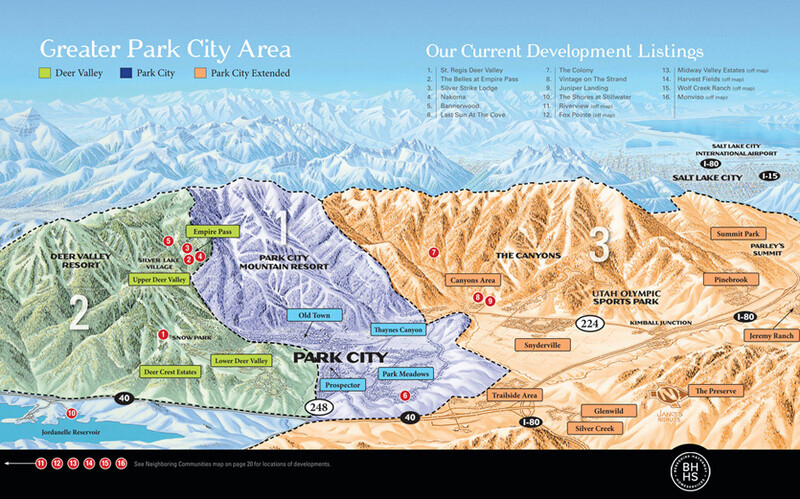 Both neighborhoods are close to Old Town, restaurants, retail shops, offices and the commercial center of Park City. Many of the condominiums in the area were built in the 70s and 80s, but have been recently updated, featuring amenities comparable to those in newer projects throughout town. Developments include: Three Kings, Snowflower and Payday condominiums, as well as Silver Star at Park City, which hosts a blend of luxury single-family homes, condominiums and townhomes with direct ski access via the Silver Star lift at Park City Mountain Resort. Lower Deer Valley properties are in great demand during all four seasons because of their ideal location. Positioned near the main base area of Deer Valley Resort, these homes and condominiums are also located within close proximity to Main Street nightclubs, restaurants and shops. The resort's Snow Park Lodge sits less than a mile away from Old Town and serves as a popular, year-round hub for outdoor activities. Nearly all properties share dramatic views of the mountain and ski slopes. Park City's Deer Crest community is perched along the ridgeline and throughout the hillside at the eastern edge of Deer Valley. Most of the luxury homes, homesites and condominiums offer ski access, including private ski runs at Deer Valley Resort. Upper Deer Valley, which includes the Silver Lake Village, is located between 6,900 and 8,100 feet in elevation, mid-mountain on Deer Valley Resort. Silver Lake Village is its own mountain community, offering local residents fantastic dining options and a handful of retail stores, including a sunny respite for skiers at the legendary McHenry’s Ski Beach. Shoppers will rejoice in the Village’s high-end boutiques and outdoor recreation stores, which are a short drive from the retail bliss of Main Street. Silver Lake Village food and beverage choices range from hearty apres-ski fare to refined haute-cuisine. The Silver Lake Lodge houses a number of restaurants and the Stein Eriksen Lodge offers fine dining, along with a distinguished spa and facilities for conferences or corporate retreats. The new Montage Deer Valley features timeless European decor, incredible views and a prime slopeside location. Refined yet authentic, the Montage offers both hotel rooms and residences. Nearby Nakoma, derived its name from the native American word that means, “I do as I promise.” Indeed, with a vow to use only the highest-quality materials and best construction practices, they crafted a beautiful neighborhood of 18 homes on 17 wooded acres. Silver Strike Lodge offers a rustic and nostalgic reminder of Park City's rich mining past. Utilizing rough-hewn logs and weathered copper alongside gourmet kitchen furnishings, this ski-in/ski-out development combines authentic Old West charm and modern convenience in a breathtaking manner. The Belles at Empire Pass is one of the newest developments in the area and offers a collection of 14 intimate single-family homes; located adjacent to Deer Valley Resort's Silver Strike lift. These properties also feature convenient access to the Northside lift. The Grand Lodge features renowned architectural design and interior accents, further proving that residents need not sacrifice luxury for an on-mountain living experience. Red Cloud is a private, gated neighborhood at the top of Empire Pass. It is home to some of the most exclusive estates in Deer Valley. Direct ski run access and unobstructed mountain views are featured on only 30 lots. Best of the best. Prospector is one of the more established and affordable neighborhoods in Park City and offers single-family, multi-family and condominium properties, some with distinctly Victorian-era styling. Located within walking distance of Park City High School, Treasure Mountain Middle School and McPolin Elementary, Prospector also offers easy access to the Rail Trail, Park City's popular recreational trail for bikers, runners and walkers. The US Ski and Snowboard Association's “Center of Excellence” sits just down Kearns Boulevard, as do the National Ability Center, Park City Ice Rink and rambling trails of Round Valley. Also situated off of Kearns Boulevard is the stunningly designed Park City Medical Center, home to 24-hour emergency service, six state-of-the-art operating suites, family and internal medicine, orthopedic and general surgery, cardiac care, pediatrics, obstetrics, gynecology, radiology and imaging. Prospector home owners have the added convenience of neighboring restaurants, retail stores and professional buildings, and commuters appreciate the area's quick access to Highway 40. 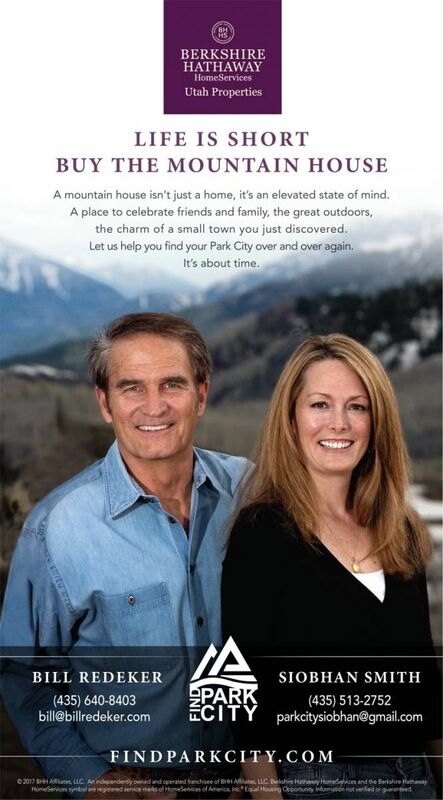 The majority of Park Meadows' residents are primary homeowners, although second-home owners are discovering that the neighborhood’s sweeping views, convenient location and cohesive feel make for a great off-mountain alternative. Park Meadows flows from the flanks of Quarry Mountain past the emerald links of the Park Meadows Country Club and climbs through the scattered sage and scrub oak of the slopes next to Round Valley. The east end of Park Meadows is home to the Park City Racquet Club, which offers a pool, tennis courts and popular fitness facilities. Park Meadows backs up to the newly renovated Park City High School as well as Treasure Mountain Middle School and McPolin Grade School all located on Kearns Boulevard, providing safe, easy access to area schools. The Canyons area offers a wide variety of property types from which to choose, including single-family homes, condominiums and townhomes. Developers recently broke ground on the resort’s golf course, adding another valuable recreational amenity. Single family home subdivisions include: The Colony, The Vintage on the Strand, Park West Village, Timberwolf Estates, White Pine Canyon and White Pine Ranches. The Colony is an award-winning 4,600 acre, private, gated, ski-in/ski-out community that features large private homes and homesites averaging six acres. Its winning combination of natural beauty, size, privacy and skiing at Canyons Resort attracts some of the most discerning buyers. Conveniently located between Historic Old Town and Kimball Junction communities are the interconnecting neighborhoods of the Snyderville Basin. Single-family homes comprise the majority of Snyderville properties, which enjoy the Basin's flat topography, spectacular mountain views and easy access to community trails, parks and ponds. Situated next to the expansive open space of the Swaner Nature Preserve is the Ranch Place neighborhood, while the nearby North Shore and South Shore neighborhoods back up to a community pond. Snyders Mill is a great family subdivision and affords potential buyers some of the best home values in all of Park City. The Old Ranch Road area affords residents the opportunity to escape the hustle and bustle of Park City's busier corridors, while remaining close to local amenities and recreation opportunities. A majority of the single-family homes and ranches that dot this wide open space are zoned for horses, which are often ridden on the nearby Round Valley trail system. The entire Old Ranch Road area enjoys incredible panoramic views of Canyons Resort, in addition to vistas of the adjoining Swaner Nature Preserve. Subdivisions include: Shadow Mountain, Treasure Mountain Estates, Quarry Mountain Ranch and Willow Creek Estates. Located at the junction of Interstate 80 and Highway 224, Kimball Junction is an additional commercial center for residents of Park City. Touting a diverse mix of condominiums and single-family homes, the area features easy commute access and a multitude of local amenities. The Junction's Redstone and Newpark developments are home to two grocery stores, movie theaters, a bowling alley and a growing number of shops and restaurants. Just down the road is the Tanger Outlet Mall, and nearby recreation venues include the Basin Recreation Field House and Swaner Nature Preserve and Eco-Center. The Kimball Junction area is included in the top-ranked Park City School District and is a popular choice for Salt Lake City and Park City commuters. The community's single-family home subdivisions are all located on the north side of I-80 and include: Blackhawk Station and Spring Creek. Condominium and townhome complexes include: Canyon Creek to the north of I-80 and Crestview, Fox Point at Redstone, Newpark Hotel, Newpark Resort Residences, Trout Creek and Powderwood. Condominiums include: Brook Hollow Village, Cedar Ridge, Courtyards at Quarry Village, Elk Run, Pine Creek, Pinebrook Cottages, Pinebrook Pointe and The Ranch. Area schools include: Jeremy Ranch Elementary (grades K-5), Ecker Hill Middle School (grades 6-7) and the Weilenmann School of Discovery charter school, which is located next to Gorgoza Park, between the Pinebrook and Summit Park neighborhoods. The Jeremy Ranch neighborhood is located on the north side of I-80, across from Pinebrook. Situated around a private, 18-hole golf course, Jeremy Ranch is mainly populated by primary homeowners. Many homes in Jeremy Ranch features prized views and plentiful sunlight as a result of its southern exposure. Single family home subdivisions include: The Back Nine, Creek View Estates, Hidden Cove, Jeremy Cove, Jeremy Point, Moose Hollow, South Ridge, Sunrise Hills and The Trails at Jeremy Ranch. Condominiums and townhome subdivisions include: Canyon Links, Circle J Club, Jeremy Ranch Club, Jeremy Woods and The Overlook at Jeremy Ranch. Area schools include: Jeremy Ranch Elementary (grades K-5), Ecker Hill Middle School (grades 6-7) and the Weilenmann School of Discovery charter school, which is located next to Gorgoza Park, between the Pinebrook and Summit Park neighborhoods. The Trailside area is composed of newly constructed homes. The neighborhoods of Trailside and Mountain Ranch Estates boast practical accessibility, lovely views of ski runs at Canyons Resort and larger lot sizes. Located across Highway 40 are the Sun Meadows and Silver Summit subdivisions, which are home to a growing number of Park City families. Homes in these neighborhoods are close to Trailside Elementary and offer convenient access to parks, recreational trails, Highway 40, I-80, Kimball Junction, Old Town and the recently expanded Silver Creek Business Park located just off of the Silver Summit exit. These three bucolic townships sit at the entrance to the Uinta National Forest area and are largely undisturbed by the hustle and bustle of Utah’s larger urban centers. These communities enjoy short approaches to otherwise remote mountain wilderness terrain ideal for backpacking, camping, fly-fishing, rock climbing, and backcountry ski touring. The area is especially popular among horse owners and rugged outdoors enthusiasts for its “Wild West” feel and vast property boundaries. The rural but vibrant Summit County farming communities of Oakley and Peoa are located between Coalville and Kamas. The townships are defined by their lush fields, wide high-altitude vistas, and long-standing family farms and ranches. Every Independence Day, Oakley hosts a world-renowned 4th of July Rodeo--a not-to-be-missed summer event. Both Oakley and Peoa have community parks and trails for the enjoyment of their residents. Homes in these communities commonly come with large tracts of land and pay homage to the area’s Western roots. The three towns of Coalville, Wanship, and Hoytsville are deeply committed to their agricultural roots and many residents have lived in the area for multiple generations. The nearby Weber River is a favorite spot among fishermen, and the Rockport Reservoir has become a haunting ground for Utah’s growing population of water sport enthusiasts. While these towns embrace their rural setting, they are all just a short drive from Park City. Potential buyers will find excellent home values in any of these three communities.